The 13 Action News teacher supply drive is perfectly timed for Gwendolyn Woolley Elementary School where every child is getting lunch for free or discounted. There are many new things students will notice the first day of school, and one thing teachers hope doesn't show. "It's a huge challenge," said Darryl Wyatt, the school's principal. 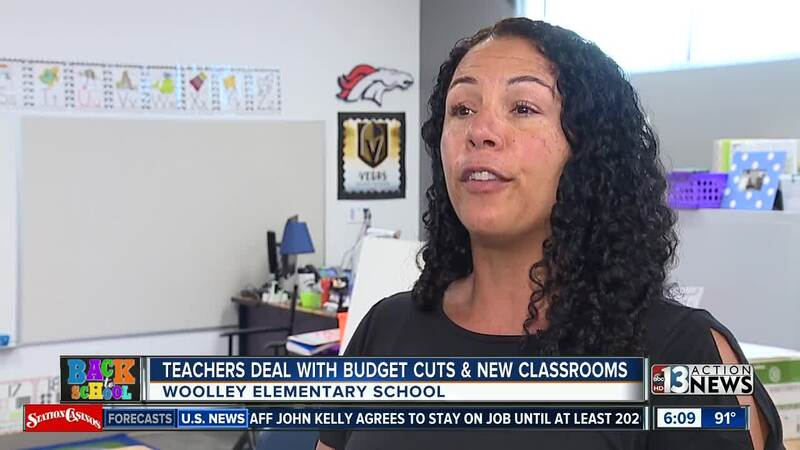 Not only did Woolley have to cut a teacher this year, but in May their supply budget was slashed by nearly $20,000. "It definitely can be a challenge when kids don't have some of the other resources they need," said Dawn Rivera, a kindergarten teacher. They have to do more with less. This year they're finally getting rid of the portable classrooms and have 22 brand new classrooms to get ready. Emotions run high Thinking about the first day. "The first week for me is always exciting," said Wyatt. Teachers at Woolley say copy paper, notebooks, and dry erase markers would really help them.